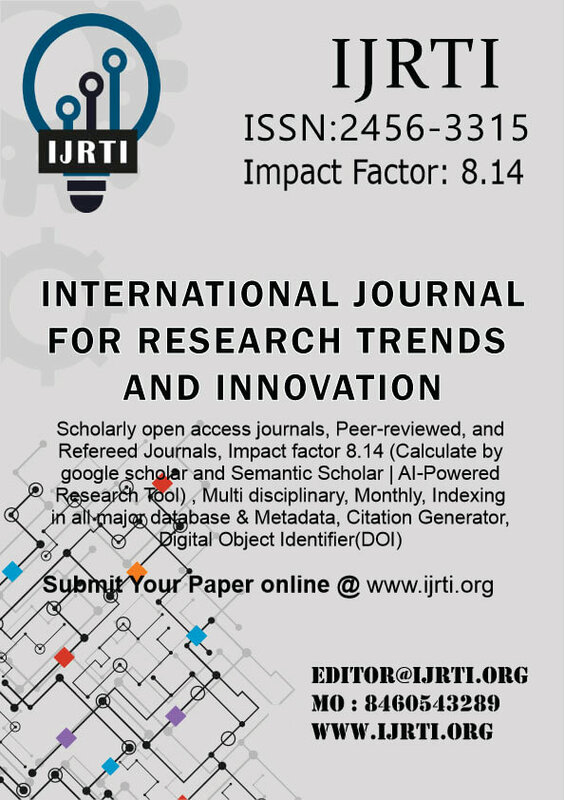 The International Journal for Research Trends and Innovation (IJRTI) aims to explore advances in research pertaining to applied, theoretical and experimental Technological studies. The goal is to promote scientific information interchange between researchers, developers, engineers, students, and practitioners working in and around the world. IJRTI will provide an opportunity for practitioners and educators of engineering field to exchange research evidence, models of best practice and innovative ideas. Indexing In Google Scholar, ResearcherID Thomson Reuters, Mendeley : reference manager, Academia.edu, arXiv.org, Research Gate, CiteSeerX, DocStoc, ISSUU, Scribd, and many more | High Impact Factor: 4.87 Digital object identifier (DOI) and Hard Copy of certificate Provided. IJRTI Started “Go Green Initiative “by providing e-publication of research paper and Certificate.